Optimizing forest management to account for the risks and opportunities posed by climate change is a challenge on many fronts. Limitations in the precision of climate models, uncertainties about natural system response, and the need to integrate climate concerns with other aspects of forest management are all complicating factors. To better position CSLN members to respond to these risks and opportunities Manomet is proposing the development of a monitoring and management system that we are calling the Resiliency Assessment Framework (RAF). The RAF will track changing regional climate and forest conditions and allow CSLN members to evaluate conditions on their lands in light of the changing regional context. This approach is intended to support the inclusion of climate concerns in forest management plans by providing an opportunity to link management decision points to the data inputs from the RAF. The RAF will be an optional component of the CSLN and will be intentionally structured to minimize additional work load and maximize utility in improving forest management. While many research questions associated with climate change and forest response might be addressed by this type of monitoring framework, our goal is a system that will maximize forest health and productivity. Assessment and Tracking of Changing Regional Context: Manomet will develop a synopsis of climate change and forest response trends and projections for each of the six regions associated with the U.S. Climate Science Centers. Local Monitoring and Evaluation: Participating CSLN members will establish or augment an existing monitoring program to document changing forest conditions on the lands that they manage and support comparison of local and regional forest conditions. Climate Component for Forest Management Plans: Participating CSLN members will develop a climate change component in their forest management plans that links to the monitoring data generated by the RAF. The majority of the regional data will come from public sources and will be based on research that is already underway or just being started. The frequency and extent of data collection on local forest conditions will be at the discretion of participating CSLN members. Initial development of the RAF will take place as a pilot effort in New England over the next year. Manomet will begin the process by developing a regional trends and projections report for the Northeast region and by working with participating CSLN members with land holdings in New England to develop and test local monitoring protocols and draft climate components for forest management plans. Assuming that the pilot phase is successful, the RAF will be expanded region by region in following years. 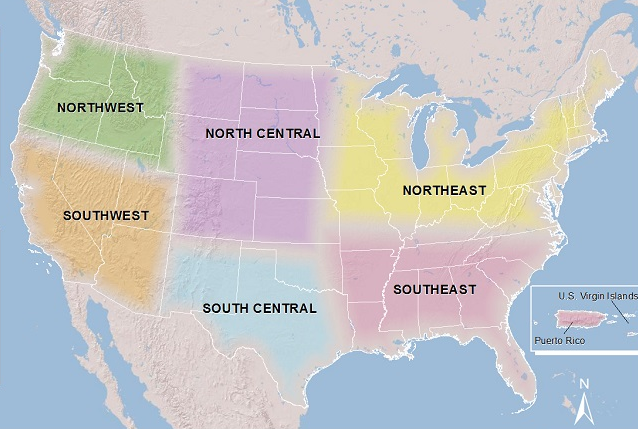 How are climate conditions changing by region and site? How are forest conditions changing in response? 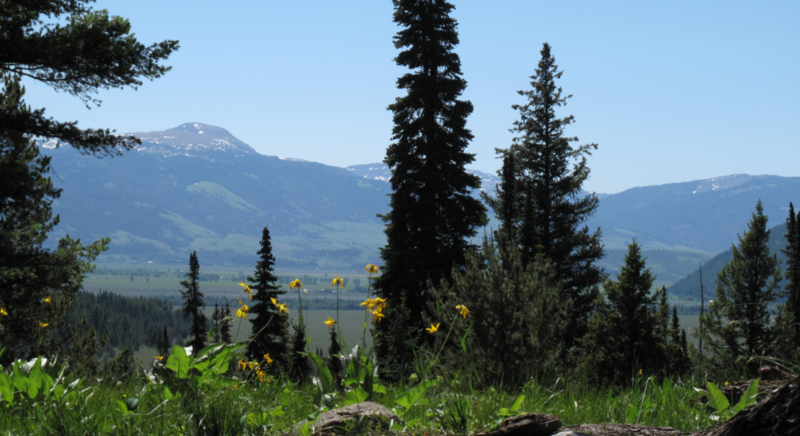 Is a warming climate increasing growth rates for particular tree species? How is the frequency and severity of drought changing and are there discernable forest impacts? How is temperature variability changing and is there a discernable forest response? Are storm events changing in frequency and intensity and what is the forest response? Obvious challenges exist in differentiating climate impacts from the many other factors that influence forest health and productivity. However, as climate change progresses it is likely that climate-related factors will become more prominent forest stressors and will therefore be more readily identifiable. For example, recent studies of the impact of “hot drought” on forests in the western U.S. have identified a climate change component in the excessive heat that has exacerbated tree mortality. The RAF can potentially serve as an early warning system and hopefully will provide insight on emerging factors in forest health and changing competitiveness of particular tree species. Does implementation of the RAF result in forest management insight would not occur in its absence? Is the RAF worth the investment of time and energy? Does the RAF improve understanding of how climate change is impacting forests? Does the RAF provide a mechanism for engagement and education on climate change? Over the long term, does the RAF result in improved forest health and resiliency? Once the pilot phase is underway it will be possible to identify more specific measures of success associated with specific research questions. The next step in this process will be a survey of CSLN members to get a better idea of what you are currently doing in the way of forest monitoring and to take a first cut at identifying priority research questions. The survey results will be discussed at the October 26, 2016 CSLN member gathering in Boston.